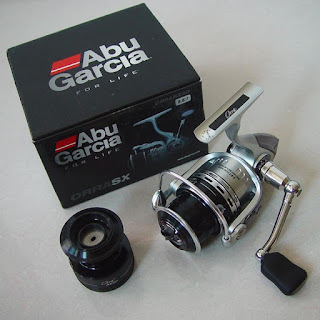 A while ago, I wrote about my experiences with the Abu Garcia Orra S. Now it is time to review the SX. I ordered the SX at the same time I ordered my first Orra S. Naturally, I was expecting more out of the SX than the S, based on price ($70 vs $100). And at this point, I think it delivers. I ordered the SX 40 - a larger reel, so that I could fish some heavier baits on spinning gear. However, the one major drawback is that it only holds 125 yards of 8 lb line. Granted, this rating is for mono, meaning that it holds more braid and fluorocarbon. So I spooled it with 125 yards of 10 lb fluorocarbon. The reel did not appear to be over-spooled, but during use, line wanted to slip from the spool. 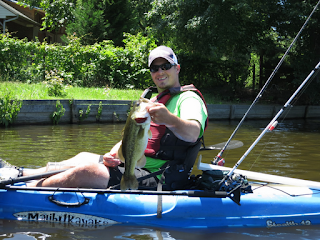 It was creating a lot of line twist and made it tough to fish light baits. So, I took some line off the reel. Still, some problems persisted. So, I decided to say screw it and change the line out to 8 lb fluoro. This seemed to do the trick and finally the reel became fishable. 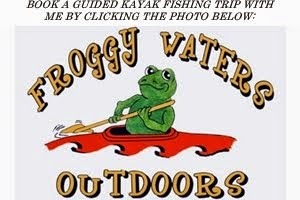 However, I will note that at times the line still has a tendency to loop at the reel when fishing lightweight baits. It isn't horrible, but it could be frustrating for someone not familiar with the pitfalls of fishing light spinning gear. When I finally got to put it to work on some fish...it impressed. I was able to fish baits ranging from texas rigged worms to weightless worms to drop shots to crankbaits without any major problems. It is a little smoother and has a bit more power than the Orra S. It also has a finish that I think will hold up better in the long run. The drag system is noticeably better, which has held up well to a bunch of solid bass, catfish, and even gar. It will be interesting to see if it stays competitive as the new Revo spinning reels hit the market. However, if the Revo line takes off, it may mean a price drop for the SX. In terms of bang for the buck, I think the S really holds its weight and if I was on a tight budget that would be my choice. But, if you are a tournament fishermen, gear guy on a budget, or you fish both salt- and freshwater regularly, I would consider upgrading to the SX. Kudos to Abu Garcia for going the extra mile to upgrade their spinning collection. I think all of their new offerings, including the Orra S and SX, will impressive the angling community. Tight lines! That spinning reel is great! I will try to find that on the eBay but I will buy bulk fish food pellets first. Penn Reels happen to be regarded for good quality doing some fishing reels for almost 70 decades. As outlined by people along with critics, "Penn provides the best doing some fishing reels in the marketplace for more information visit our site http://spinningreelcenter.com.